The aim of this posting is to describe classes of findings within damage assessment and its requirements and responsibilities of servicing. The classification is derived from well-established standards in astronautics and aeronautics industries where those issues are frozen into laws and provisions in that industrial sector. In wind industries we do not see any approved agreement of this type. Large scale demolition causing to rebuild sections of a blade or extensive repair. In this class of damage it is typically that main elements for distribution of forces are interrupted: Primary structure broken, i.e. unidirectional belts, Root-inserts. Primary structure damage and secondary structure (sandwich) damage affected to an extension as findings can state holes and/or cracks are penetrating through the sandwich within a limited section not greater than 10% of wing depth at that location. Primary structure damage and secondary structure (sandwich) damage affected to an extension as findings can state small holes and/or cracks in neither covering/outer layer if there is no injury of sandwich core material nor opposite/inner layers. Erosion, scratches, notches, not affiliated with disruption of covering layers. Damage class 1 for that matter includes also Vortex Generators, Gurney flaps, stall stripes, rain skirts and other secondary covering and cowling. Repair of class 4 damage is classified “very critical” and has to be authorized by blade manufacturer. Repair is to be done in certified shop (no in-situ repair) and with specially trained and skilled expert staff. Living quality management system is mandatory. Repair of class 2 and 3 damage are classified “critical” and has to be escorted by an independent blade expert or at least kept by full-fledged repair documentation. Repair plan has to be signed off by expert or manufacturer and rework instructions (field conditions or shop-repair conditions) have to pass its acceptance. Repair of class 1 damage can be carried into execution by versed workman but also has to be documented in a brief repair report. 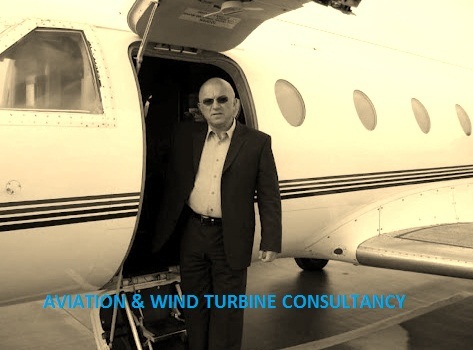 Requirements for blade service staff training, facility provisions and infrastructure of service providers, acceptance of independent expert’s knowledge and approval by customer are not uniformly given and topical matter in German wind association BWE. Cooperation in that issue is welcome. • On the ground (severe damages) in unloaded (shop) conditions.